Debt consolidation is an easy and responsible way to get a handle on debts that may be taking over your budget and your sleep. Finding the starting point is never easy, but knowing what to do and what to say can boost your confidence and help you face your debts. These are some of the most important questions that you are going to want to ask a creditor when you sit down for an initial consultation about debt consolidation. What Do I Gain by Consolidating All My Debts into One Payment? At first glance, pooling all of your debts into one lump sum to be paid off monthly just seems like the same problem in a different wardrobe. In fact, as a good creditor counselor will explain, consolidating your debt into one place can be advantageous on many levels, including the reduction or even elimination of interest rates and clearer and easier payment options. Discuss the benefits of debt consolidation, and you will already have a better grasp of your situation. What Are the Terms of the Consolidation? 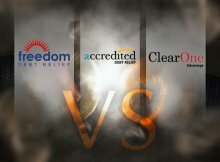 While many debt consolidation services are legitimately there to help, there are companies that give the industry a bad name. A reputable company will write out the terms of your program clearly, not leaving out any details or confusion. The terms may include: a limit to the low or no-interest rates, additional fees, credit card use restrictions after the program is in effect. Ask what consequences there are for missed or late payments and who to contact if you are struggling to make the payments. 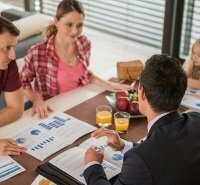 Is This a Loan, Loan Consolidation or Negotiation and Settlement? Different loans and services will have varying consequences and caveats. For example, home equity and private loans can land you deeper in debt if you are struggling to make payments on your existing debt. However, they may have better terms allowing you to pay off your high interest debt in exchange for a lower interest loan. Refinancing and consolidating your debt can afford you one monthly payment, though it's important to check that the terms work for you. 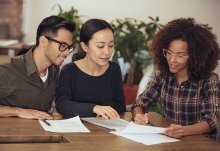 Many debt relief companies will help you negotiate a reduction in your debts, settling on your behalf for lower loan amounts.Have all the terms of the loans carefully explained to you, and never be afraid to ask for a second or even third explanation if something is unclear or doesn’t seem right. How Will This Affect My Credit Score? 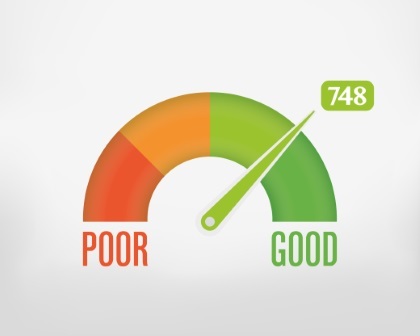 Your credit score determines how favorable the rates and terms will be when taking out a loan and/or while in debt. Generally speaking, if you make payments on time, your score will be good, but it can often rise and fall in unexpected ways. For example, if you have a credit card that has a maximum limit of $10,000, and you have used $5,000 of that limit, your debt would be 50%. If you take out a loan of $5,000 to pay off that debt, then you are currently owing $5,000 of a $5,000 limit, which brings your debt up to 100%. Make sure to ask the creditor how this program will affect your credit score in the short and long term. Often debt consolidation does make your credit score dip with the long term gain of less debt and therefore better credit. Not all debt is created equal, which is why it’s important for you to know about the different types of debt and all of the options that are available to you. Read our reviews of the top debt consolidation specialists to find out everything you need to know about how to get your finances in order at last. Kevin Mercadante is a freelance professional personal finance blogger, and the owner of his own personal finance blog, OutOfYourRut.com. He has extensive backgrounds in both accounting and the mortgage industry. Follow Kevin on Google+.